Emergency hot water repairs Sydney.  All gas, electric & solar HWS. Sydney emergency hot water heater repairs and service. Contact our licensed, full insured hot water service repair technicians at Cheapa Hot Water Sydney for fast, same day emergency hot water system repairs. We service all Sydney suburbs and the Central Coast. Emergency hot water replacement service. We service all electric water heaters, gas and solar hot water systems including Rheem, Dux, Rinnai, Aquamax, Bosch, Conergy, Hocking, Apricus, Vulcan, Edwards Solar, Solahart, Everhot and more. Our trucks are on the road right now stocked with thousands of spare parts to repair and service your hot water heater quickly. Hot water is our business so you won’t have to wait weeks for parts to be ordered and to arrive. Thank you for replacing my hot water tank so quickly after it blew up. It is not often that you find a company so professional in the way they do their business – this was done on every level from the time I called. Luke called to say he was on his way. Vehicle presentation and workmanship and pleasant nature shown by Luke. Keep up the good work”. – Greg Dale, Bonnyrigg Heights (more customer testimonials »). Hot water is our business! A new hot water system is a big investment and may require the installation and setup of plumbing, gas and electric components. This requires the experience and qualifications of both a licensed plumber and a licensed electrician. At Cheapa Hot Water Sydney, we are licensed and qualified to undertake any plumbing and electrical work required to complete your hot water system installation or repair quickly, and within budget. Plumbers who do not specialise in the installation of hot water heaters may need to outsource the electrical work required to another tradesperson, thereby holding up your hot water system repair or installation, adding extra expense due to additional call out fees charged by employing two tradespeople. For same day Sydney hot water repairs call 1800 266 999 or text 0410 693 532. Most manufacturers won’t cover the terms of your hot water system warranty if it isn’t installed by a licensed hot water technician or qualified plumber. Hot water tanks are an expensive appliance so why would you risk voiding your warranty by installing it yourself or employing the services of someone who isn’t licensed? The installation of any hot water system also requires the qualifications of a licensed plumber AND a licensed electrician. At Cheapa Hot Water Sydney, we are licensed and qualified to undertake any plumbing and electrical work required to complete the installation or repair of your hot water system. Plumbers who do not specialise in the installation of hot water heaters may need to outsource the electrical work required to another tradesperson, thereby holding up the installation of your hot water heater and adding the extra expense of employing another tradesperson. Save money today by calling the hot water experts. 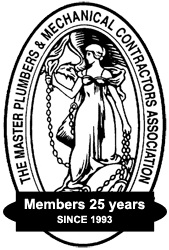 We are licensed water heater installers and plumbers and preferred service technicians for all major hot water manufacturers including Rheem, Solahart, Rinnai, Dux, Aquamax, Apricus, Vulcan, Edwards Solar, Everhot and many more brands. “We wished to share how impressed we were with your service and prices. Your staff member communicated a helpful, honest approach, stating the facts about warranties, etc, without applying any pressure. We certainly have great faith in him than the plumber we dealt with. Again thank you for his excellent and patient service.” – Steph Bristown (more customer testimonials »). For emergency hot water repairs Sydney call our “hot” line on 1800 266 999 or text 0410 693 532. “Wow, so fast and efficient and didn’t cost us a months meal! Will be calling you guys back for sure and recommending you to others! Thank you so much for your honest efficient service. Steve was our service guy and he was great! Honest and did a great job! Thanks a million.” – Patrick and Izabella Paruit, St Clair (more customer testimonials »).